Unique and original hand made designs in metal. Custom made iron Beds, Furniture, Lighting, Candle Holders and Sculptural work. Styles range from the Gothic and Medieval with a mixture of contemporary and futuristic influences, to just about anything else. Private, public and commercial work carried out to the highest standard. NEW: Watch Leigh describe how we work with our clients in this video <a rel="nofollow" target="_blank" href="https://www.facebook.com/eastwellironworks/videos/2254789217927142/">https://www.facebook.com/eastwellironworks/videos/2254789217927142/</a> Eastwell Ironworks has been established since 1997 and have a wealth of experience in the metal working industry. We are a dedicated team of English craftsmen who take great pride in our work and guarantee to meet our client's expectations. We have been producing bespoke metalwork for both domestic and commercial clients for many years now. From structural steel works to drive gates, railings, staircases, balconies, security fencing/grills, restoration and sculptural works of art. Working with mild and stainless steel, brass, copper, aluminium and cast iron we can also incorporate other mediums such as glass, wood and stone. 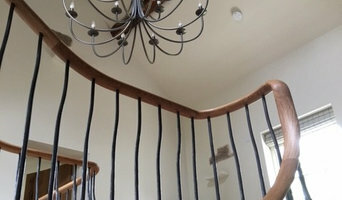 We also offer a free no obligation quotation. We have a wealth of knowledge about our industry so are happy to help with any advice we can. We are a family run business based in the heart of Wales, providing services across the UK and beyond. All of our porches, verandas and door canopies are handmade to order by our highly skilled craftsmen, using traditional materials and top quality paint systems. We are able to offer a fantastic range of designs, sizes and accessories which are easy to assemble and install. We are also able to create completely bespoke designs and sizes for those looking for something more unique. Our door canopies and porches offer shelter from the British weather when looking for your keys as well as adding interest to your property, whilst our veranda's create a real 'wow' factor and enhance your lifestyle, offering a space to entertain friends or simply relax and unwind. We pride ourselves on our uncompromising quality, attention to detail and bespoke service to deliver a product that truly makes an entrance, always putting the customer at the heart of everything we do. 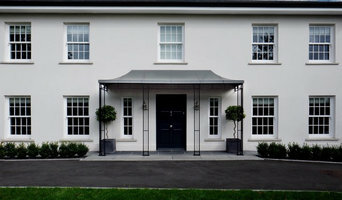 Architectural metalworkers based in Bath, UK the team at Ironart design, make and fit all aspects of architectural ironwork. 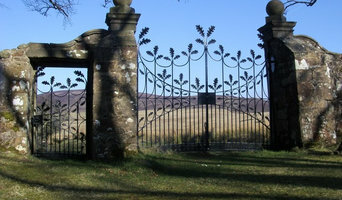 We offer a comprehensive historic ironwork restoration service. We also handmake a collection of heritage-inspired iron furniture, seating and structures for the garden. 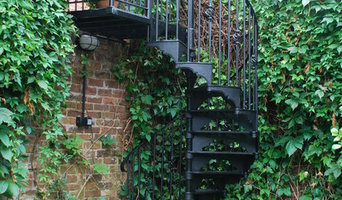 Fenland Ironworks is an established Cambridgeshire company, specialising in the manufacture of simple, elegant and robust plant supports, fire baskets and grates.. I have been producing high quality, hand crafted Ironwork for the past 25 years. My original designs are manufactured to the highest standards using traditional blacksmithing techniques as well as some individual procedures that I have developed over the years. Kirkpatrick are traditional manufacturer of handcrafted Ironmongery. We have over 160 years' experience crafting beautiful ironwork under the same roof where it all began. We have an extensive range of products with over 3000 to choose from including door furniture, window furniture, cabinet furniture and home accessories. We are especially well know for our traditional antique black iron products, however we manufacture most of our products in a range of finishes. Kirkpatrick are now the only remaining manufacturer of this style of traditional English Ironmongery. I am a sculptural blacksmith based in Oxfordshire, UK. I design and make unique sculptural and functional pieces for inside the home and out. I use various metals and other media to create features tailored to the clients needs and wants. Why should I hire a blacksmith or metal worker? 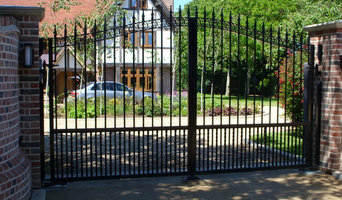 If you dream of elaborate iron gates and railings surrounding your property, or a beautiful Juliet balcony or outdoor iron balustrades, then it’s essential to hire wrought iron workers that can create and install these beautiful structures professionally. If you want to save a little and not go for hand-crafted, blacksmith-made pieces, you’ll still be able to find metal fabricators that create railings and gates in bulk in a number of styles that will fit with your house design. Talk to an ironwork professional or blacksmith from Houzz to see what wrought iron work or metal pieces they can create or install in your home. Here are some related professionals and vendors to complement the work of wrought iron workers: Fencing & Gates, Decks, Patios, Sheds & Summerhouses, Cladding & Exterior Contractors. Questions to ask a blacksmith or metal worker? Find an ironworker or blacksmith on Houzz. Narrow your search in the Professionals section of the website to blacksmiths and ironworkers. You can also look through photos to find examples of ironwork that you like, such as iron gates or railings, then contact the metal worker who fabricated them.